As e-waste centers go, the setup doesn’t look all that remarkable—but it is. 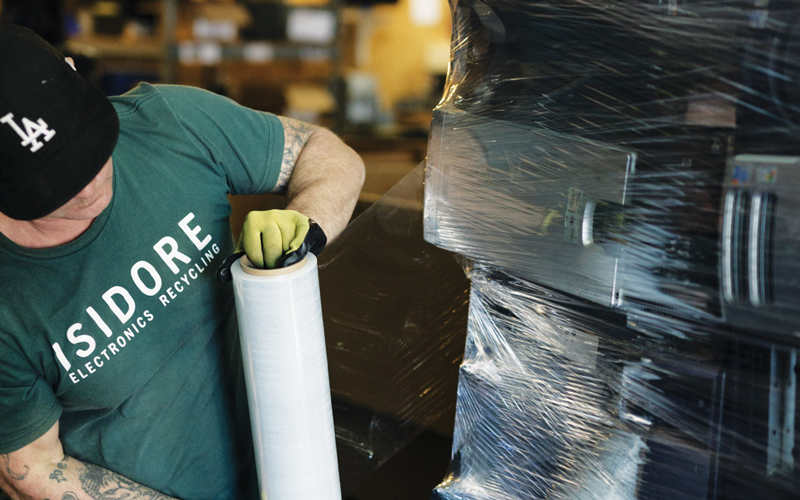 Last year the business, which was run by Stokes and COO Zwicke, changed its name from Isidore to Homeboy Electronics Recycling after teaming up with Father Greg Boyle. While the Catholic priest is best known for rehabilitating former gang members by providing training and employment at Homeboy Bakery and its offshoot, Homegirl Café, the e-waste center reflects the more diversified approach his organization is taking. Working as a senior field deputy for then-L.A. City Council president Eric Garcetti in the early 2000s, she was struck by how little vocational training California inmates receive before they reenter society. “Ninety-eight percent of people who go to prison come back,” she says. “It’s not like you lock them up and throw away the keys.” And once they do get out, job options are few. So after completing her master’s in public policy at USC, Stokes decided to fill the gap and provide jobs herself, launching Isidore—named after the patron saint of computers—in 2011. Most of her 14 employees have done time. That includes Xuong Cam, who was hired in 2013 after spending 17 years behind bars. “Being here, not only do I get a chance to educate myself, I get to educate my family,” says the assistant warehouse manager. The goal is to increase sales by 40 percent and add at least six employees by year’s end. To do that, the company is looking to establish more contracts with businesses that need to securely dispose of their e-waste. (It doesn’t hire people with a history of fraud or identity theft.) Also in the works: a move from the current warehouse, near Father Boyle’s Chinatown headquarters, to a bigger space. Next article5 Ways Biking Is Getting Easier in L.A.